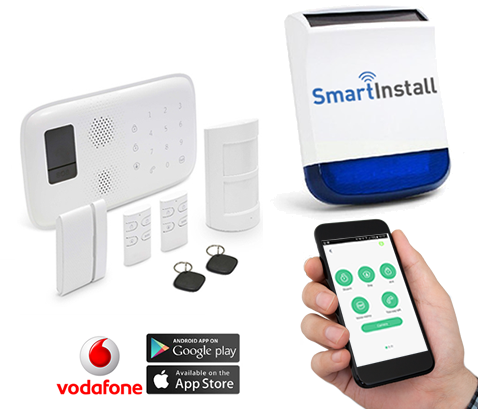 We offer customers affordable smart home security and monitoring products that are installed professionally trained and qualified engineers - specifically, Smart Home Alarm Systems, Elderly and Vulnerable Care Alarms & Smart CCTV Systems. If you have any questions, please give us a call on 0121 634 8080 or fill in our contact us form where one of our experienced advisors will be able to help. Alternatively, view our FAQ section. Testimonials are curated by Smart Install | Burglar Alarms, CCTV & Smart Home Security | SmartInstall ® Limited and are not independently reviewed or verified. "Excellent Service, Easy To Use - Great Value"
"The SmartInstall service was excellent, the install team left my house without any mess having installed the system and shown me how to use it. Its so easy to use with the App and remote controls."